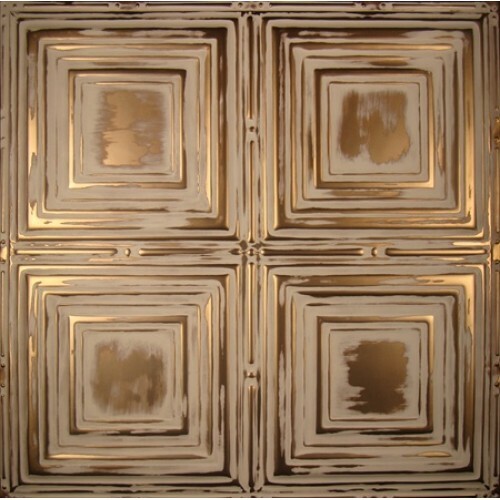 Metal Ceiling Express is a manufacturer of decorative metal ceiling tiles and panels. Out tiles can be used in metal ceilings, backsplashes, walls and other decorative projects in homes, offices, restaurants, warehouses and other locations. We use a high-tonnage press to manufacture our tiles. Authentic designs are stamped onto blank tiles and the process makes sure that all tiles have a consistent look and feel. Our decorative metal tiles are available unfinished in over 30 different patterns and in about 80 different colors & finishes. 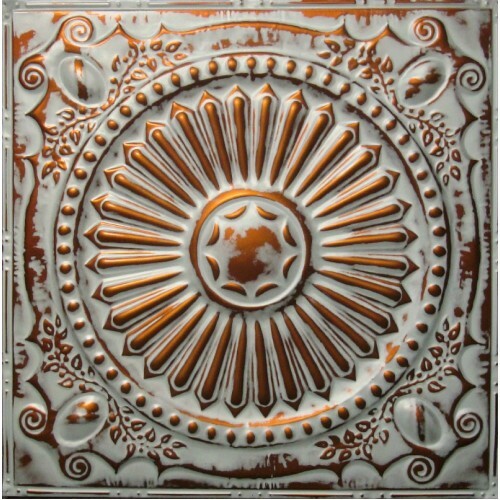 Unfinished tiles plated with authentic tin and can be finished and painted as desired. The Artisan series of decorative metal ceiling tiles will give you an idea of the many colors and finishes that are available. The finishes range from coppers, to golds, to bronzes. Decorative tiles are available in 24in x 24 in and 12in x 12in sizes. The 24in x 24in tiles are available for nail-up, drop-in and deep drop-in installation and a handful of patterns are also made for our unique snap-grid system. 12inx12in panels are available unfinished and in a small number of hand finishes. The 12in panels are suitable for smaller areas such as backsplashes and similar applications. 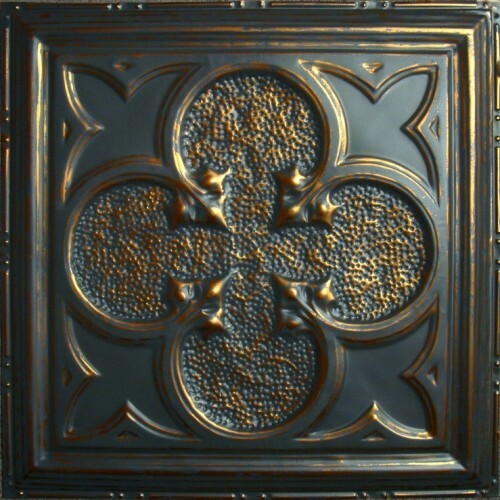 In addition to decorative metal ceiling tiles, we also make accessories and matching items like metal ceiling molding and edging, switch plate covers and even nails so you can have a consistent look for your project. Our metal ceiling installation cost calculator will help you get an idea of the amount of material you may require for your project. We are available on 941-723-2288 to answer any questions or if you wish to place an order. You can also order on our website. Sample packs are available so you can get an idea of the quality and look of our products. Finally, visit our blog where we regularly publish articles, resources, and ideas. And don’t forget to follow us on Facebook!.